There is little in nature as intricate or as varied as the feathers of our winged friends. After a memorable pheasant or turkey harvest, I save a few – just as soon as I fry up the meat for dinner! My friend Kristin Parma has found a way that these feathers can be saved and treasured, and not just on a shelf. 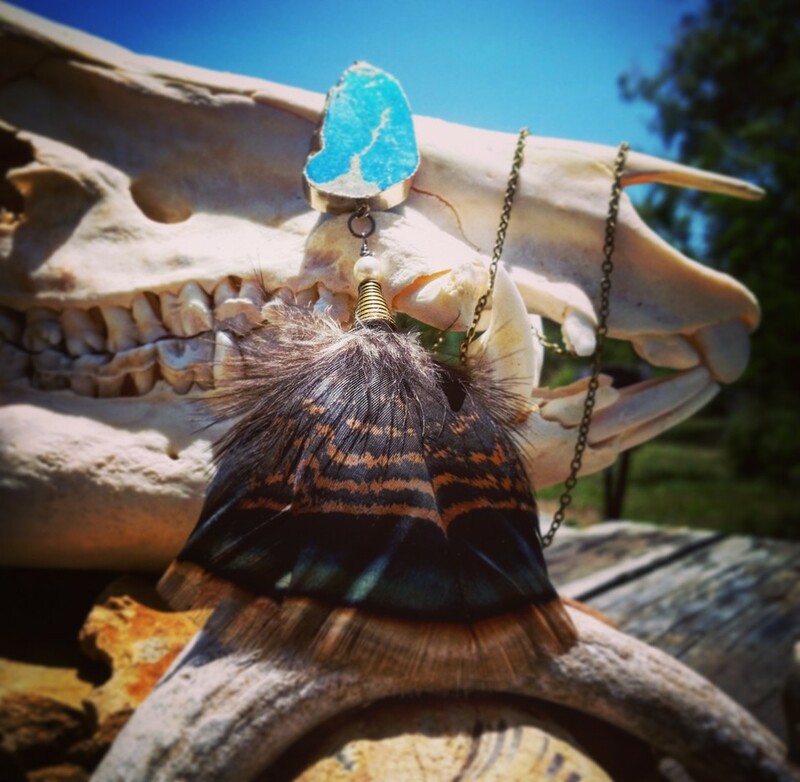 She makes hair clips, jewelry, and pins that feature the feathers and ammunition from a hunt. 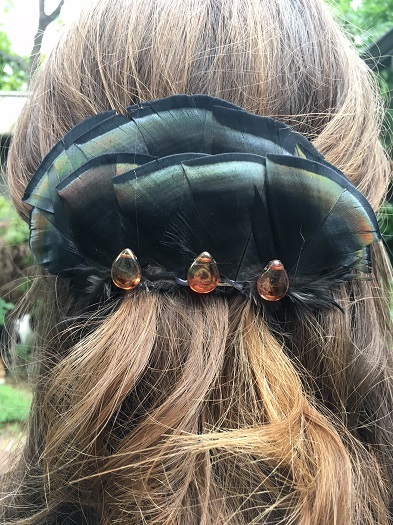 You can provide your own feathers from a memorable hunt for Kristin to make into custom earrings, hair barrettes, or other accessories. Visit her Cowgirls and Collies Facebook page to contact her or email kristinparma at yahoo dot com. 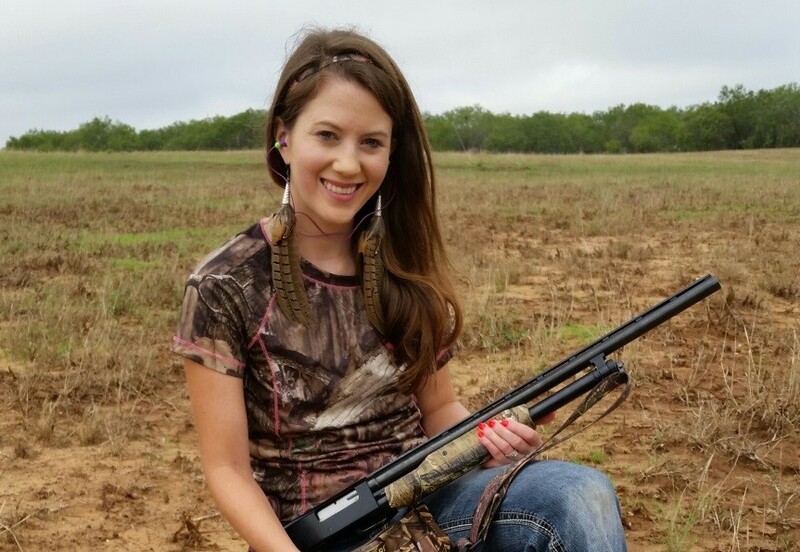 You all may have read about my turkey hunt with Kristin here, and you may have seen my interview with her about her first deer harvest. If not be sure to check those out! She is a very interesting woman! 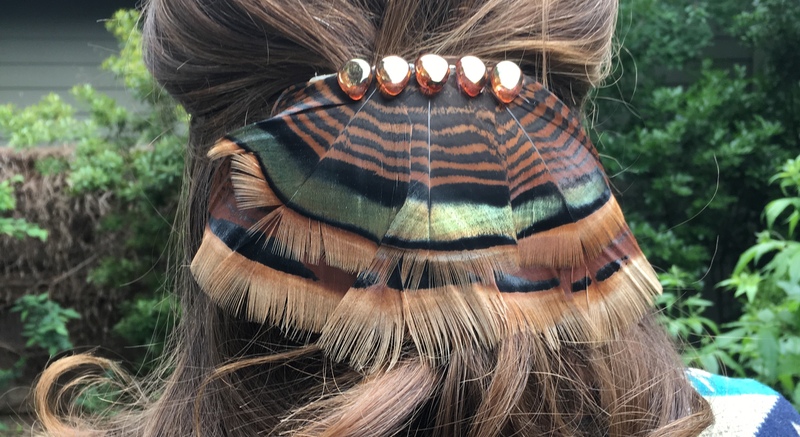 1 Reply to "Feathered Jewelry and Accessories with Kristin Parma"
What a beautiful way to save & reuse those handsome feathers. Clever girl!